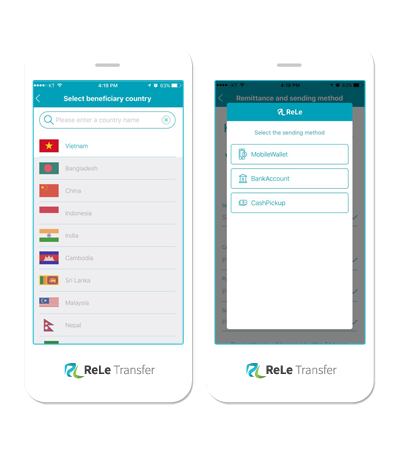 Rele Transfer a simple and inexpensive overseas remittance services. 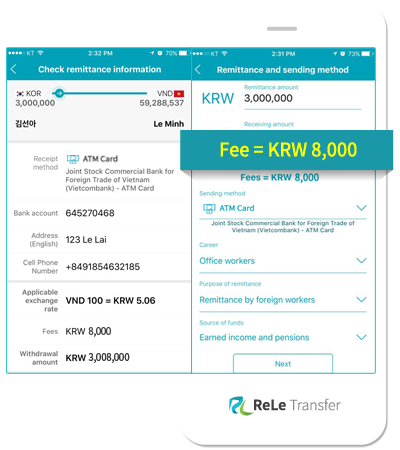 You can access the services without vising the branch. 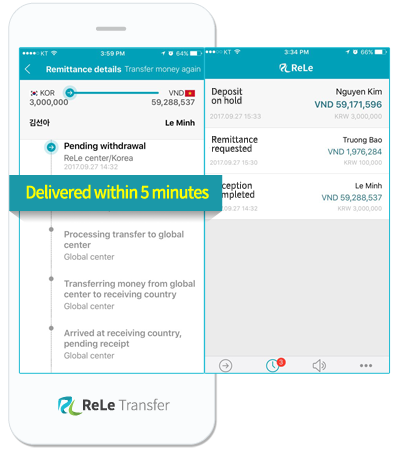 Vietnam is Rele Transfer’s first oversea sending country. 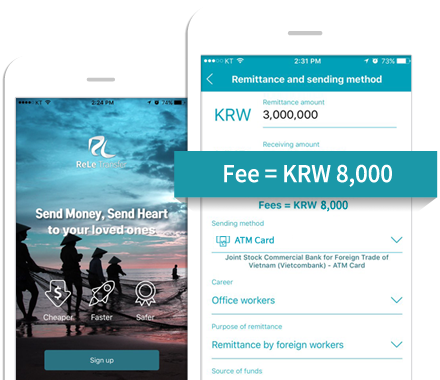 You can experience surprisingly low charge. 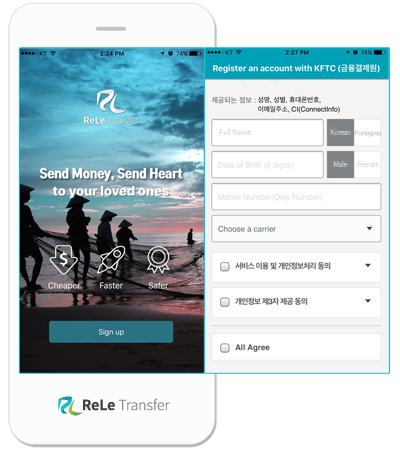 ·The messaging function when sending and receiving money. 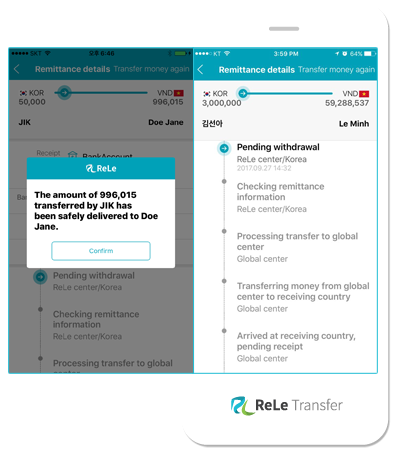 *View remittance arrival time on ReLe App.